"We are who we are because our nation survived here. It is written on our earth." 775-744-2565 or click here to email. W h a t is t h e W S D P ? The International Day of the World's Indigenous People falls on August 9 as this was the date of the first meeting in 1982 of the United Nations Working Group of Indigenous Populations of the Subcommission on Prevention of Discrimination and Protection of Minorities of the Commission on Human Rights. The UN General Assembly decided on 23 December 1994, that the International Day of the World's Indigenous Peoples should be observed on August 9 every year during the International Decade of the World's Indigenous Peoples (resolution 49/214). Later on 20 December 2004 the assembly decided to continue observing the International Day of Indigenous Peoples every year during the Second International Decade of the World's Indigenous Peoples (2005-2014) (resolution 59/174). 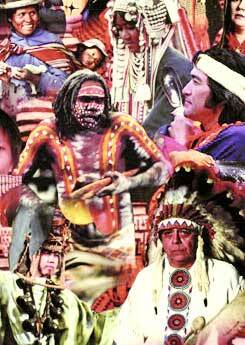 In April 2000, the UN Commission on Human Rights adopted a resolution to establish the UN Permanent Forum on Indigenous Issues which was endorsed by the Economic and Social Council in resolution 2000/22 of 28 July 2000. The mandate of the Permanent Forum is to discuss indigenous issues related to culture, economic and social development, education, the environment, health and human rights. Flyer for AIM Gathering in San Francisco to commemorate this day. New Book by the late Corbin Harney, just released by University of Nevada Press. Cultural Program supports Newe culture for the defense of Newe Sogobia, Newe land rights and cultural areas. Mining and Environmental Program prevents destruction of Newe Sogobia. Land Recognition Program affirms Newe land rights and works toward the reform of U.S. Federal Indian Law and Policy. August 20, 2009: SNWA Board to vote & hold public hearing on the Las Vegas Water Grab! 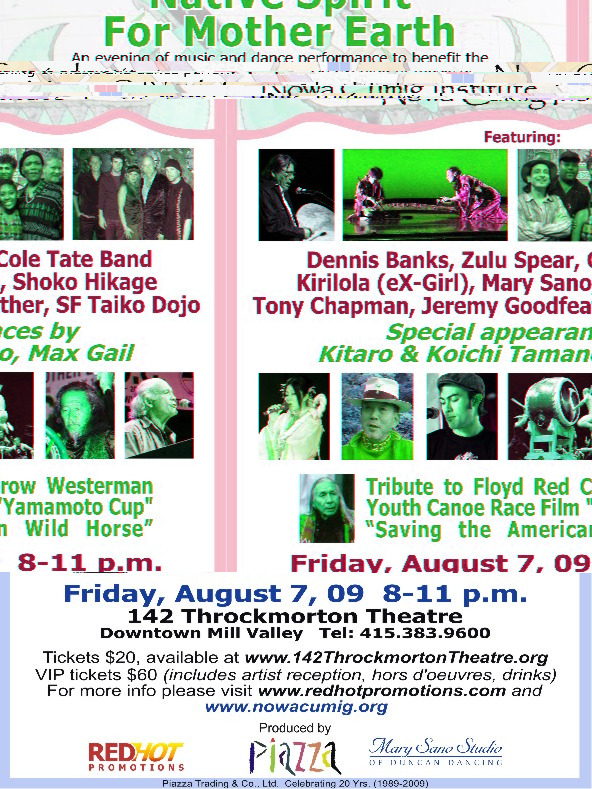 August 7, 2009, Mill Valley, CA - Native Spirit for Mother Earth: an evening of dance & performance. Spring Gathering 2009 Photos [Thank you, Cat]!